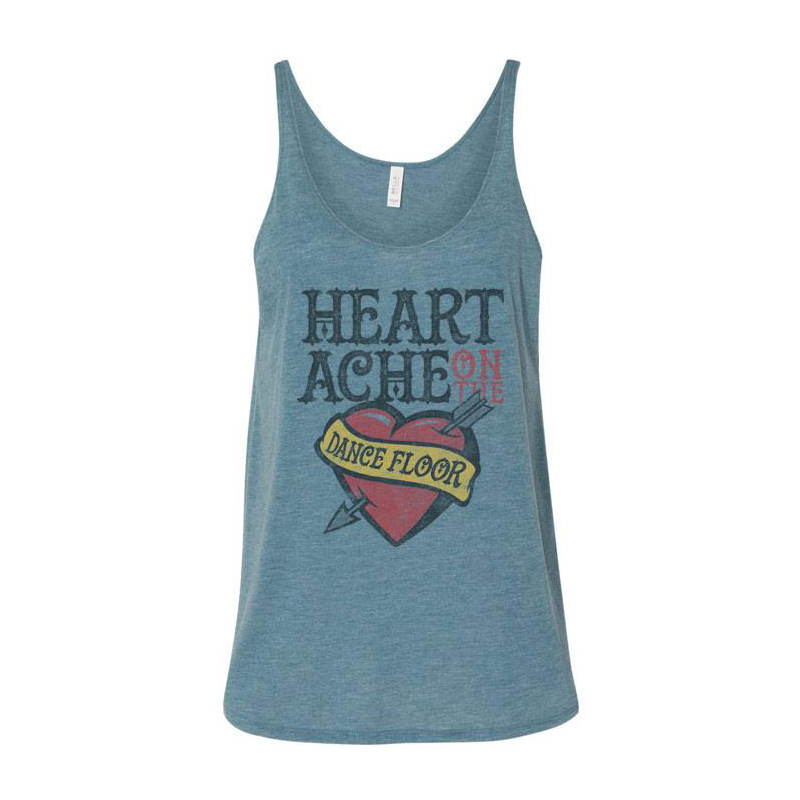 Teal flowy poly/viscose blend women’s tank with “Heartache on the dance floor” design. I love the color, soft material, but it runs bigger than a normal small. I will need to wear a cami under it as not to see my bra. Might be to warm to do that. 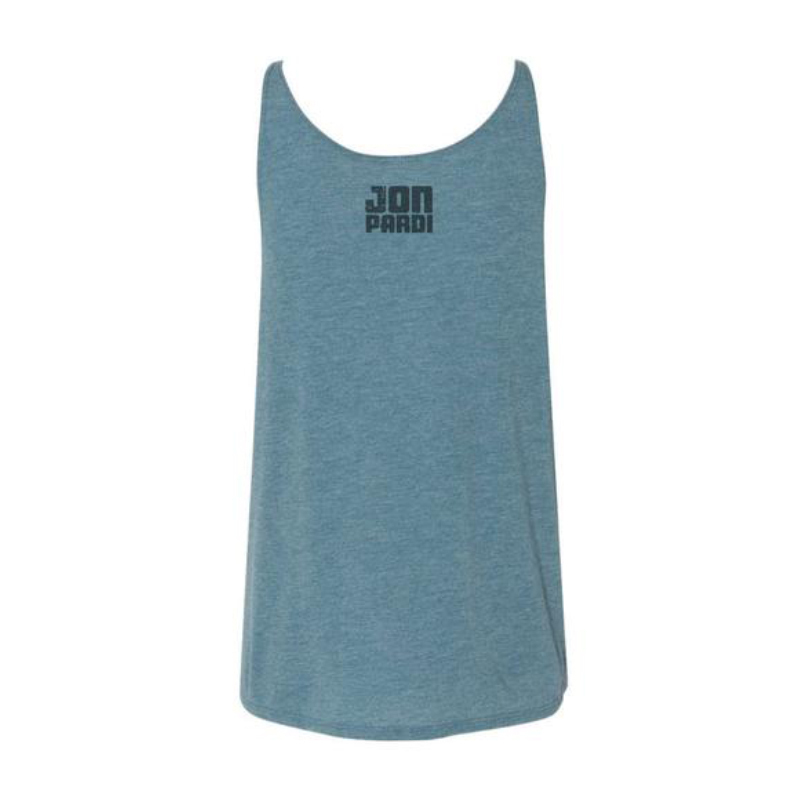 This tank is super soft and comfortable! Its a little big but still looks great. Love the tank top. Material is soft and comfy. I have almost every single shirt and all are real good quality. Its to cold and rainy here in Texas so im waiting to rock my heartache tank with some short shorts and my dirty boots!